Dolfe Honeybun broke up with Blaise Runa because her party girl ways were driving him to distraction. Unfortunately, out of sight does NOT mean out of mind. And when his favorite party girl sees something she shouldn’t and finds herself being chased by a cold-blooded killer, reason shuts down and Dolfe’s heart takes over. If only he can get to her in time! 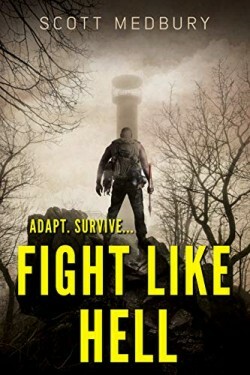 Survival thriller set after a sneak biological attack on the USA. The fans have been waiting with bated breath for the grand finale of The Vampires of Shadow Hills. The highly anticipated conclusion of the series is here! 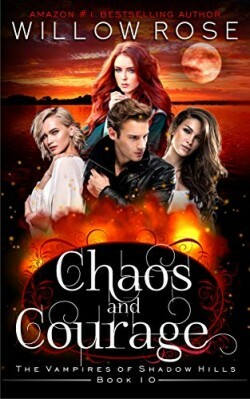 CHAOS AND COURAGE is the 10th and last book in a fun and frightening, romantic paranormal mysteries. If you like star-crossed chemistry, headstrong heroines, and riveting family drama, then you’ll love Willow Rose’s heart-throbbing series. Buy CHAOS AND COURAGE to discover how it ties up all the loose ends in a mind-blowing grand finale. A successful million-dollar startup is David Pascal’s dream. But some people would kill to get a piece of it. David didn’t want much: a successful startup, a wife, and a family. But a series of bad encounters, partnerships, and a failed relationship drove him to attempt suicide. Rick, a good-looking life coach desperate to become the next Tony Robbins, moves in next door and offers to help David get back on his feet, in exchange for help developing a new app. Rick’s wife Angela, a beautiful psychology student haunted by her past, becomes David’s best friend. But he can’t help falling in love with her–which might hurt his relationship with Rick. An investor pays them millions–but some people would murder for that much money. 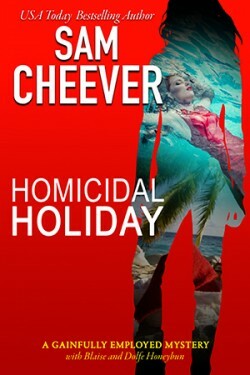 After it disappears, David’s world shatters as he races to stay alive and find the money–before it’s too late. Even the FBI can’t tell David who to trust, or who wants him dead. 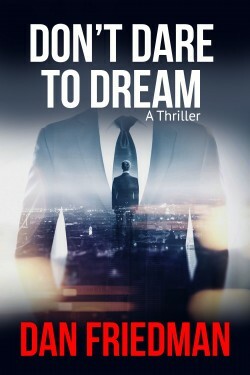 Don’t Dare to Dream is Dan Friedman’s debut crime thriller. If you like gripping suspense, twists and turns, and unpredictable characters – you’ll love Dan Friedman’s thrilling ride.